PROCEDURES: 1.In a bowl, combine crushed Graham crackers, cocoa powder, and sugar. Mix until combined. 2.Stir in butter milk and nuts. Mix thoroughly. 3.Form mixture into balls. Arrange on a jellyroll pan lined with nonstick baking paper. Refrigerate about 1hour to set. 4.Melt chocolate chips in a double boiler, stirring to prevent chocolate from burning. 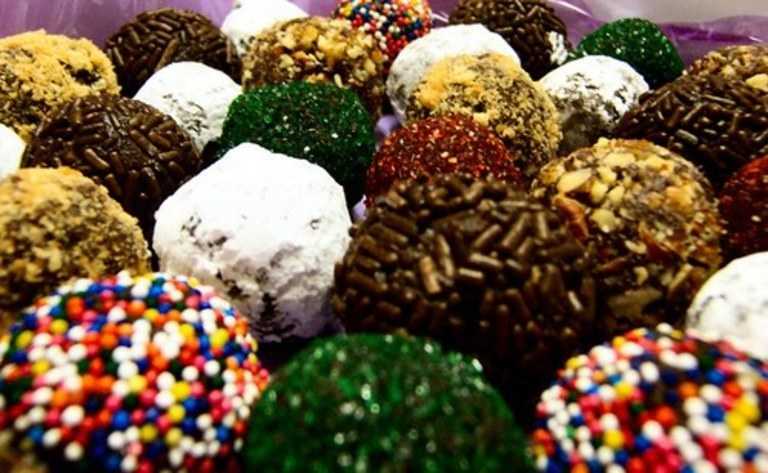 Dip each prepared ball in the melted chocolate. Top with colored sprinkles.